Taking up any new sport can be pricey, particularly if you are participating in a multi-discipline sport like adventure racing. 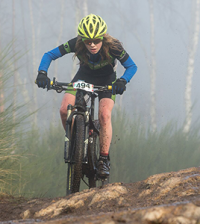 Not only have you got to invest in the right sports clothing, but there’s the mountain bike to think of too. 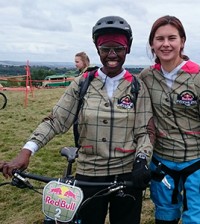 But before you shelve your plans to have a go at this exciting and immensely rewarding sport, it is possible to invest in kit that will last but that won’t leave you bankrupt, as our novice adventure team discovered with the help of a few experts. First up, and potentially the most expensive piece of kit you will have to get for adventure racing, is a good mountain bike which can start at £300 and go up to well over £5000. With the amount of technology on bikes nowadays it can be daunting to know where to start, but all you need to really focus on is how much you want to spend and whether to go for a hard tail or full suspension bike. “Many elite athletes may want a super fast, light hard tail but for the rest of us mere mortals a light suspension bike is a better idea,” explains spokesperson Neil Webb of cycling specialist, Evans Cycles. “You get increased traction on technical trails and less fatigue but most important they are more enjoyable on the fun bits.” See the bottom of the piece for our bike review. Once your bike is sorted there are still many decisions to make when it comes to your gear. 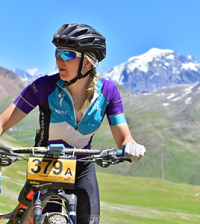 While you can run any race in pretty much anything, when it comes to adventure racing you have to factor in that you can go through several different types of weather, from rain and wind to blazing sunshine, and even snow depending on where you’re racing. It means you need clothing that is water and wind resistant, sweat wicking and most crucially light. Nicola races in Helly Hansen gear. Other companies of note include www.marmot.com and www.mammut.com. But one of the best our novice adventure team tried was the OMM Kamleika Race Jacket, £130 and Race Pant, £95 (pictured above). Made of a fabric that looks and feels like silk, the pants come with zips that go up far enough for you to be able to whip the trousers off over bulky trial shoes without any problem. “While the price tag might seem a lot this is well worth the money,” explains novice adventure racer and founder of Fitbitch Boot Camp, Rachael Woolston. “It is so light you hardly feel like you’re wearing anything but it performs better than anything I’ve ever tried. The only other equipment that you cannot do without is a good pair of trail shoes (look out for our trail shoe review coming soon on Sportsister.com) and a hydration pack. You cannot, nor should you risk, racing for hours on end without taking on hydration. But get the wrong pack and it will prove a complete pain – literally. Some of the best packs include OMM Adventure Light 20L, £50, pictured top right) (www.theomm.com) and Inov-8 Race Pro, £49.99 (pictured above left) with its H20rizontal Hydration System, £14.99 pictured above right) (www.inov-8.com), which sits across the lower back rather than lying vertically which provides more stability and prevents the water pack sloshing around. Whilst these are both quite pricey, a good pack is worth it’s light weight in gold. Whichever pack you choose though, think about getting one with easily accessible pockets for kit and race snacks. Also, make sure that the pipe from the bladder sits correctly on the shoulder strap and doesn’t end up hitting you in the face every time you take a stride. Lastly, ensure you have shoes that will get you through anything from sand to mud and loose scree in the space of an hour. Any other kit can be bought once you have decided you enjoy the lure of adventure racing to continue. And remember, invest in the right kit and it will last you for you for years and help you to enjoy one of the most exciting and challenging sports around. If you want to know how to decide how much you should spend, and the difference a more expensive bike makes on rough terrain, read the following adventure team novice racer’s review of two bikes from the opposite end of the price spectrum. Some bikes can manage to look much more expensive than their price tag, but this isn’t one of them. It had the look of a mass market bike and is clearly aimed at women with its curly graphics. This lends it a recreational look which is not ideal if you’re trying to pysche out fellow racers. That said, this entry level bike was incredibly light and did brilliantly uphill. Downhill, the price tag showed in both the braking and suspension, neither of which were responsive enough. This bike would be good for some, and does well for its price tag, but if you cycle aggressively and want to be able to throw your bike down anything, you need to consider increasing your spend. If you’re the type of girl who likes a bike that looks chunky, this is it. This looks great but is also super light and handles amazingly. Compared to the Specialized Myka it was harder to work on the uphills because of the suspension, but the difference is marginal, and what it yields in this respect it makes up for in every other department. Conclusion: To spend or not to spend?